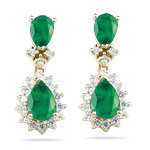 2.00 Cts Diamond & AA Pear Natural Emerald Cluster Earrings-14KY Gold . 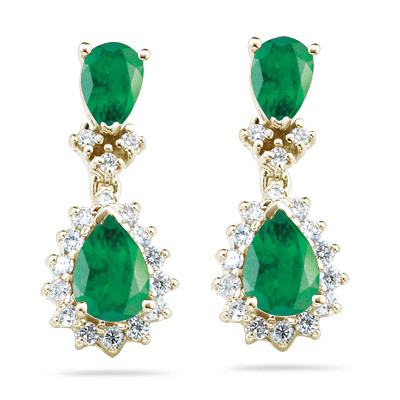 These fascinating Natural Emerald and Diamond Cluster Earrings exhibit two astounding pear shaped Zambian Emeralds, bedecked with splendid Diamonds prong set each in 14K Yellow Gold. Approximate Gemstone Weight: 1.50 Carats. Approximate Diamond Weight: 0.50 Carats. 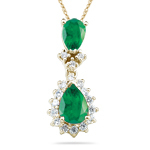 We are using AA quality Zambian emeralds. Magnify your charm with these dazzling earrings.